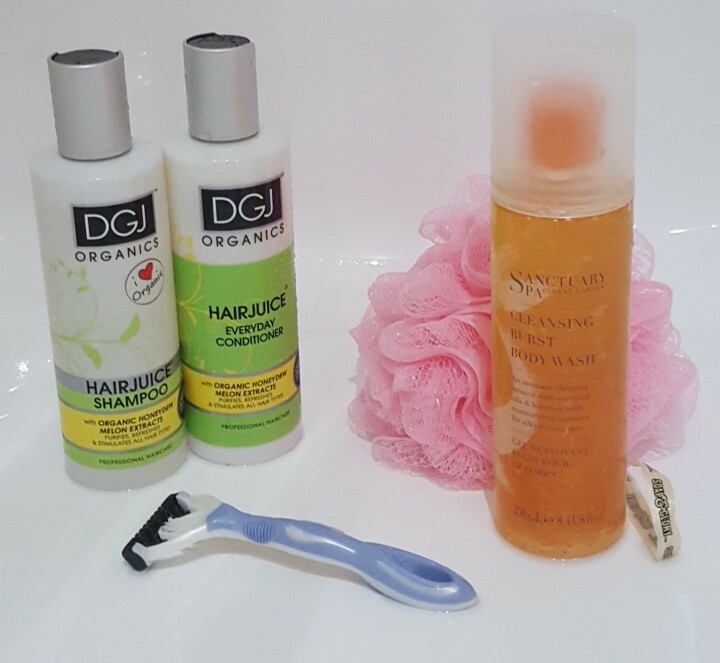 I tend to stick to my trusty Garnier shampoo and conditioner, but when I was sent the DGJ Organics Hair Juice Shampoo and Everyday Conditioner, I thought why not spruce it up a bit. Makeup Revolution are adding to their franchise and specialising in haircare as well as skincare now. And why not? If you can have it all then make it happen! I was sent the Honeydew Melon Shampoo and Conditioner, both of which smell amazing and also SLS free. The only problem with SLS free shampoo is that they make your hair feel slightly drier than the normal kind, and the DGJ organics shampoo is no exception. Once rubbed in it lacks that normal, shampoo texture that adds the moisture into your hair, usually, and therefore gives it quite a dry feeling, the conditioner, however adds slightly more moisture which leads to impressive results and gives a glossy, high-shine (after blow dry) finish. I was a little wary on first use, but the end results are amazing and left my hair feeling and looking great. It's not badly priced either, and I'd certainly pick it up in the future. Have you tried DGJ Organics? What did you think?